The Chang Family Foundation (CFF) uses its time and resources to put the family’s Christian faith into action. Through the world of sports CFF is able to touch the lives of countless people and give them hope for a better future. 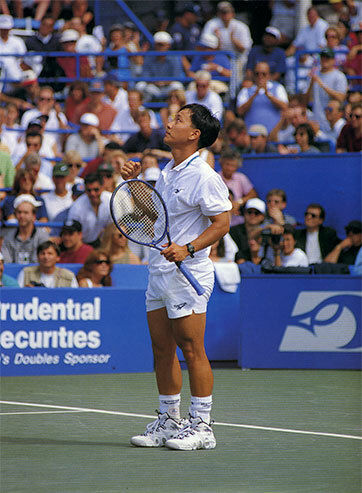 In Orange County, California CFF hosts the Michael Chang Tennis Classic, an annual charity tennis event bringing together over one thousand tennis enthusiasts for a two weekend event – www.changtennis.com. In Seattle, Washington CFF hosts a series of Christian Sports Leagues including basketball and volleyball teams that meet regularly to compete and hear the gospel message. The Chang Family Foundation was established with the support of the Chang Family in 1999. CFF is a natural extension of the Chang Family’s core values and an affirmation of their commitment to community service. Throughout the years, the Chang Family has shown a passionate dedication to sports, family, and their Christian faith. The core values of the Chang Family Foundation include: Excellence, Integrity, Perseverance, Teamwork and Compassion.